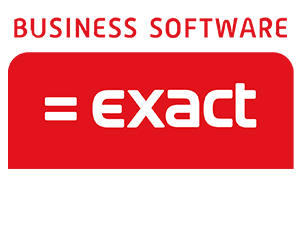 Exact Software founded in 1984 in the Netherlands, six students launched Exact as a garage start-up. Now Exact is a global company with 1,550 employees in 15 countries. Today Exact has 250,000 + SMB customers in 110 countries. Exact business software enables customers to focus on their next goal, and look ahead to the next challenge. With Exact, businesses can quickly respond to shifting market conditions and grasp opportunities with both hands when they arise. Exact develop industry-specific on-premises, hosted and cloud-based solutions in a wide variety of industries. Ranging from manufacturing, wholesale & distribution to professional services and accountancy. Exact support all major business processes such a production, logistics, finance & administration, HR, sales and marketing. With these solutions we help you run your business more efficiently. The Standard ERP or back office Exact Globe is the ERP system, it integrates the company’s entire financial and administrative infrastructure. All transactions – Financial, Purchase, Inventory, Sales Management, Projects and Production – are contained in a single, central data source. Exact Globe Next helps a wide variety of industries with their international growth strategies. The Standard ERP or back office Exact Globe is the ERP system, it integrates the company’s entire financial and administrative infrastructure. All transactions – Financial, Purchase, Inventory, Sales Management, Projects and Production – are contained in a single, central data source. Exact Globe Next helps a wide variety of industries with their international growth strategies. It is a powerful Business Empowerment Web-based Solution that enables companies to integrate, manage, control and improve the way all employees work together to add value across the company’s business. Its powerful HRM, CRM, workflow and document engine brings clarity, structure and collaboration to the business of doing business and it will help you automate your ISO and Quality Management processes. It is a business activity monitoring, alerting and automation tool. It may be applied to challenges in every part of a business, leading to decreased costs, increased productivity, improved customer satisfaction and even higher revenue.